Congratulations to Kate Burridge Macdonald from Bruce Ski Club, Hepworth, Ontario, who created the winning design of the 2019/20 Jackrabbit Toque Design contest. 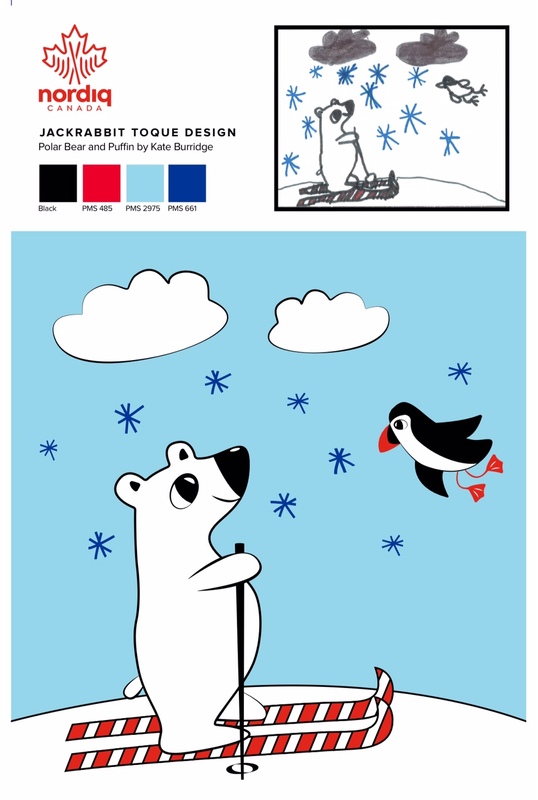 We absolutely adore her drawing of Polar Bear and Puffin! We would like to send a big THANK YOU to all the children who participated in the contest!!! Thank you to all Jackrabbits, friends, families, clubs and members who voted on their favourite design!